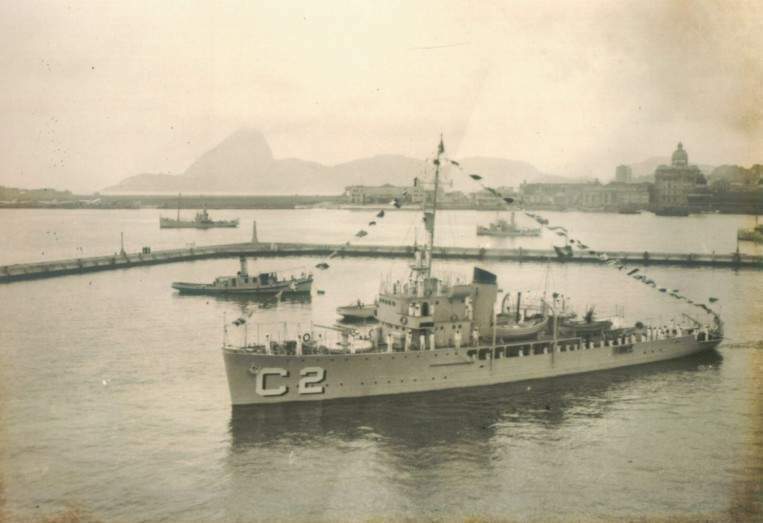 Cananeia's first commander was Lieutenant Captain Raul Reis Gonçalves de Sousa.Corvette Cananeia C-2 initially served subordinated to the Southern Naval Force, Headquarters Rio de Janeiro. On 24/Apr/1944 she received orders to join Northeast Naval Force Headquarters Recife Camp Ingram. 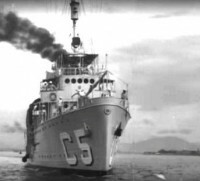 There she played an active role in patrolling and escorting duties in the south Atlantic. 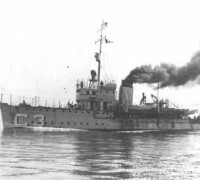 On 13/Nov/42 Corvette Cananeia rescued 23 survivors from Dutch Merchant Veerhaven off Fernando de Noronha Is. Cananeia also convoyed the American Merchant Eagle which was torpedoed off Cabo Frio on 25/Jun/43 by U-513 on pos. 23º.07"S, 41º.53"W. Eagle managed to reach port where temporary repairs were made. 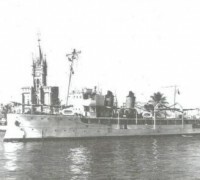 Later the merchant sailed for Aruba and then to an US port where permanent repairs were made in Feb/1944. Cananeia seen moored at her berth Recife FNN Headquarters. 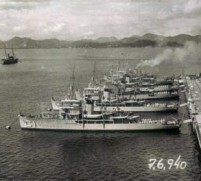 Picture kindly sent by Francisco Freire, son of Commander Freire who rendered relevant services during war in this vessel.